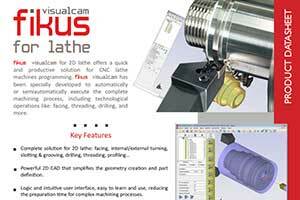 Fikus Visualcam for Lathe 2D offers a flexible and productive solution for programming CNC lathes. It has been specially developed to program automatically or semi-automatically, all the lathe parts machining process including all the technological operations: facing, threading, drilling, and more. It can be difficult to learn and properly program a lathe machine and it is a double when you have different machines; but with Fikus Visualcam you will have control of all your machines from a single position and any engineer would be capable to control any machine you may have got. Powerful, easy-to-use CAD/CAM solution to speed up product development, reduce manufacturing costs, and improve product quality and reliability across a wide range of industries and applications. It’s not an easy thing to import CAD data files when it comes to 3d parts. 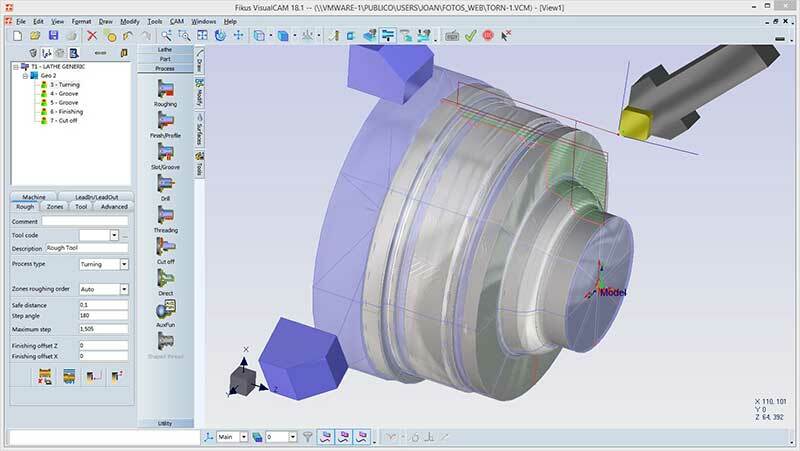 Fikus Visualcam integrates a powerful CAD, designed to fit the CAM user’s needs, which can manage complex 3d files. With powerful CAD functions to create and edit the geometry as a wireframe geometry, contour extraction and surface manipulation, gear creation or texts and geometry dimensioning. 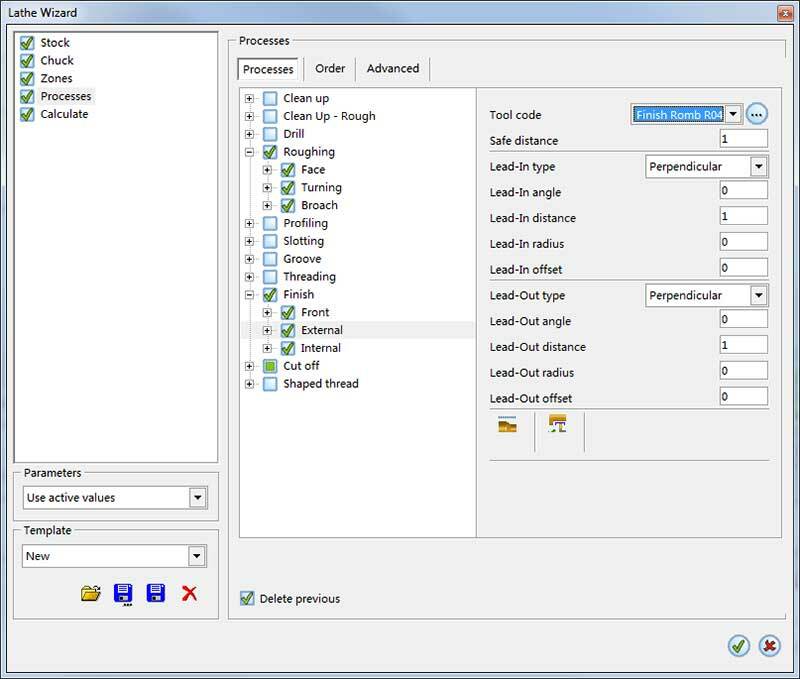 The CAM manager guides the user through the logical process of part machining, from the geometric definition to the creation, calculation and post-processing of CNC's programs. Fikus will generate the machine optimal cutting strategy for your specific machine and job. The machining simulation would offer a realistic visual representation of the machining process and the final part can be zoomed or rotated at any given moment. 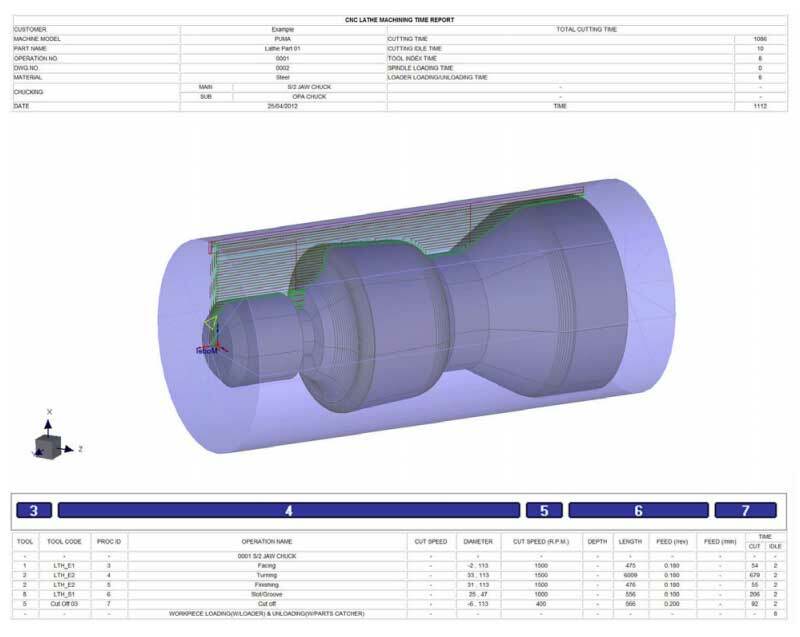 Fikus Visualcam optimized toolpath considers the remaining stock to calculate the best toolpath entry/exit, therefore avoiding air-cutting and both reducing program lines and machine over-functioning. You can control every aspect of machine movement; From where you initially position the tool and finish machining to clearances and Z and X stock allowances, canned cycles, pre-programmed machining cycles. Advanced machining cycles such as facing, internal/external turning, slotting & grooving, zigzag grooving, drilling, threading, profiling, many possibilities to cover all your machining needs. Save your cutting strategy as a Multi process and use it for other similar parts! You will save a lot of time and you will be using a proven and customized strategy. The Machining Wizard for lathe analyzes the part geometry automatically detecting all its features. The machining strategy and all its processes are defined, applied and calculated without user intervention. The lathe tools table allows creating tool holder and the inserts from their ISO-code, and defining the cut and feed parameters depending on the machine and material to be machined. You will have complete control of tooling definition, from standard boring bars to complex customized tools. 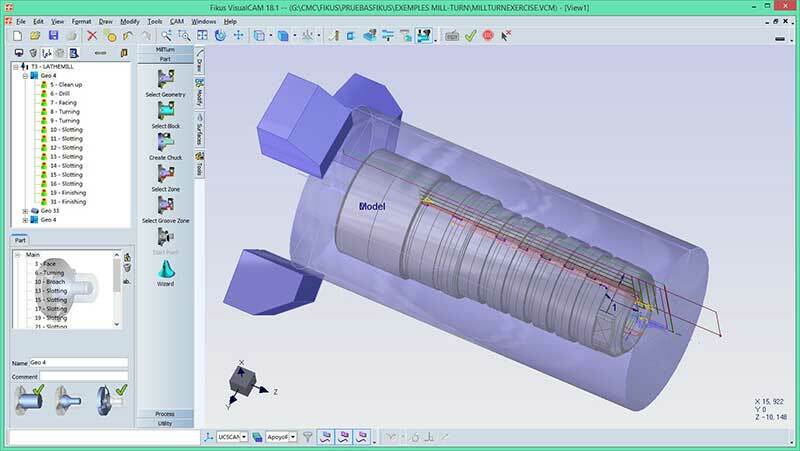 Allow Fikus Visualcam to make all the calculations simulate the machining process in the computer. Fikus shows the part, the remaining material and the tool as animated solids. 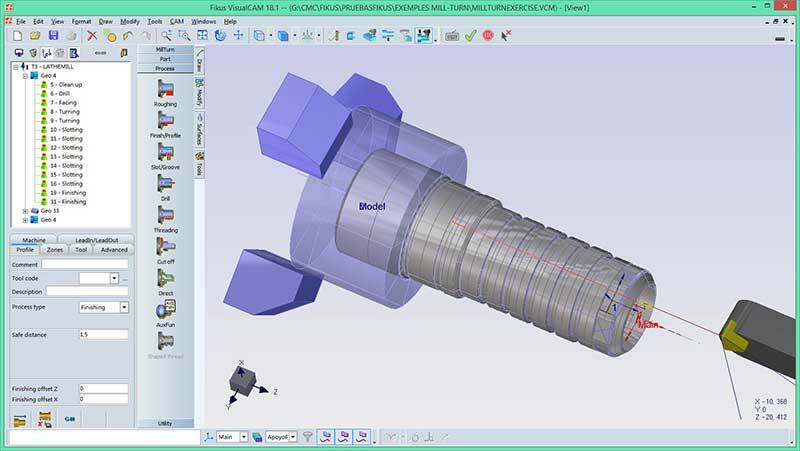 Finally, you can generate your machining program by using the Fikus Visualcam post-processor specific for your machine. You can now verify the program with the Fikus CNC Editor and send it directly to your machine. Fikus Visualcam’s postprocessors are optimized to use the same language and all the possibilities of your machine’s sub-routines, canned cycles, etc. Hence, programs are much more PRECISE, READABLE AND EDITABLE. Fikus Visualcam’s G-code optimization avoids overheating your machine.